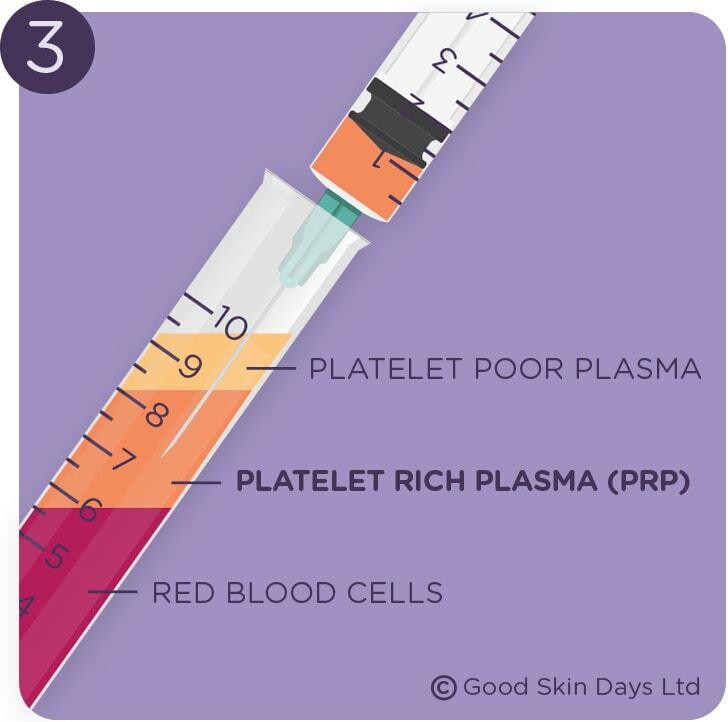 Platelet Rich Plasma (PRP) therapy, also known as the ‘Vampire Facelift’ is a non-invasive cosmetic procedure which makes use of the patient’s own blood mixed with a product to promote collagen growth underneath the skin. It’s a revolutionary repair system that places growth factors in the exact location where we want the skin to repair and rejuvenate itself. 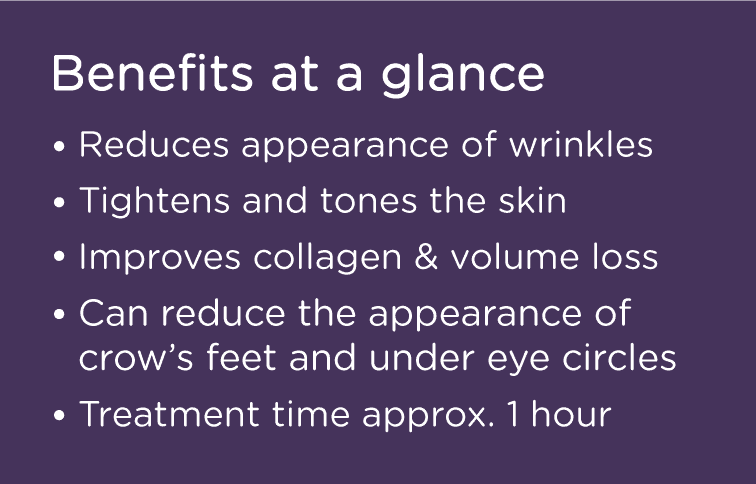 What are the advantages of the PRP facial? PRP therapy is predominantly used on the face, particularly around the eyes, mouth and nose although it may be used on the backs of the hands and all over the body, more commonly the décolletage to give a more youthful and radiant appearance. What is PRP therapy and what is the process? A small sample of blood is extracted from the patient’s arm (approx 10mls). The blood is then placed in a centrifuge for a few minutes and spun at high speed. A sterile syringe is used to withdraw only the PRP (platelet rich plasma) from the sample. The PRP is injected into the problem areas of the skin and surrounding cells reproduce. The treatment involves extracting platelets from the patient’s own blood in order to inject them into problem skin areas, starting with the extraction of a minimal amount of the patient’s blood (10mls). This is then placed in a centrifuge, for a few minutes, to spin the blood which separates the red blood cells from the platelet rich plasma. Platelets contain a high content of ‘growth factors’ – proteins that help to heal injured tissue or damaged skin. 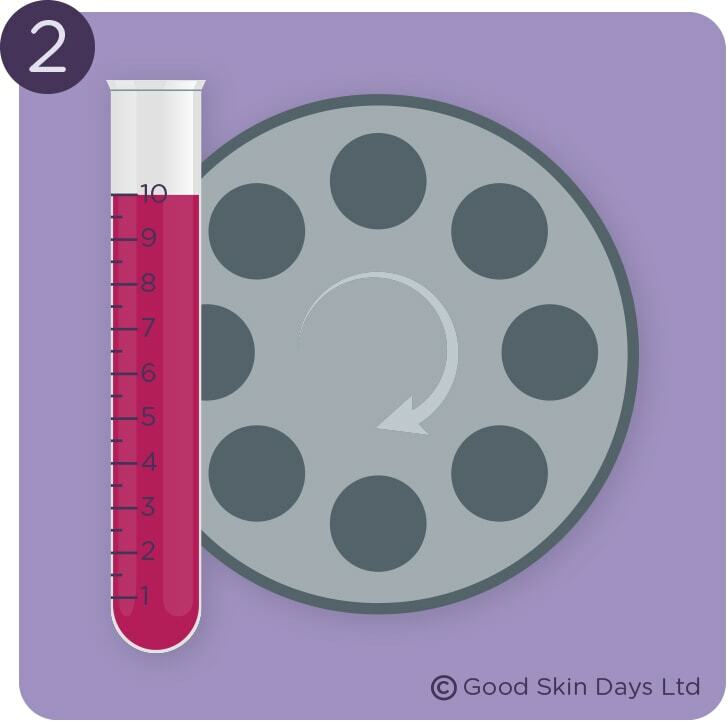 Upon re-injection, the platelets release their growth factors which trigger surrounding cells to reproduce, in turn stimulating repair, increasing volume and rejuvenating the skin. The whole procedure only involves needle injections to the desired areas, requires virtually no healing time and also reduces possible side effects to a minimum. The procedure usually takes less than an hour and patients can go home or to work following treatment. How long after the PRP injections before I see a change? Patients will usually feel the immediate effects of PRP therapy after it is performed and during the next few weeks the collagen will begin to grow and generate more and more healthy cells underneath the skin. That is when the optimum results of the procedure are felt. Your Medical Practitioner may suggest a course of PRP treatments (usually three) in order to maximise your results. What are the side effects of PRP? There are few side effects associated with PRP therapy. Immediately after the procedure you may expect some bruising, swelling and redness at the injection sites. You may also experience some tenderness at the injection sites although any side effects should settle within a few days following the procedure. To ensure that you receive the best possible results, preparation prior to treatment is a vital part of the process. Prepare skin with your practitioner recommended skincare regime. Avoid waxing or laser for 48 hours prior to treatment. If you are using any product/s containing vitamin A, glycolic (or any resurfacing ingredient) as a part of your skin care regime, you are advised to stop using these for seven days prior to treatment. Avoid anti-inflammatories (e.g. ibruprofen/aspirin) and also alcohol for 48 hours prior to treat-ment as this can increase the chance of bruising. You will be provided with detailed aftercare information prior to leaving the clinic after your PRP treatment. In your initial consultation your practitioner will discuss your desired results with you and advise the number of treatments accordingly. 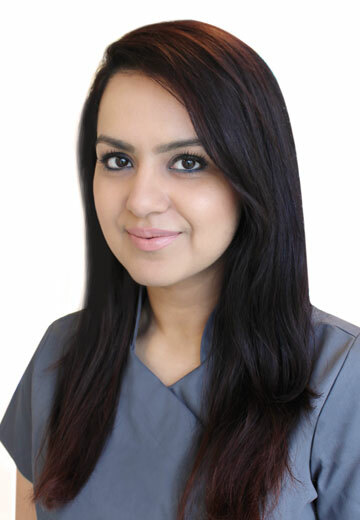 "Had several treatments, the staff are always very pleasant and well informed. 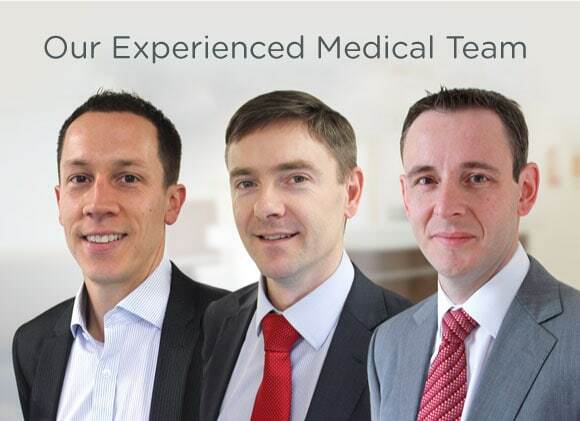 The practice provides a comprehensive and excellent service. The treatments are accompanied by very friendly and efficient nurses and the receptionist who help create a relaxed environment. Highly recommended!" Do I need a referral from my GP to have PRP Therapy privately? No, a GP referral is not necessary. Many of our patients do come to us with a referral from their GP, but it is not a requirement. 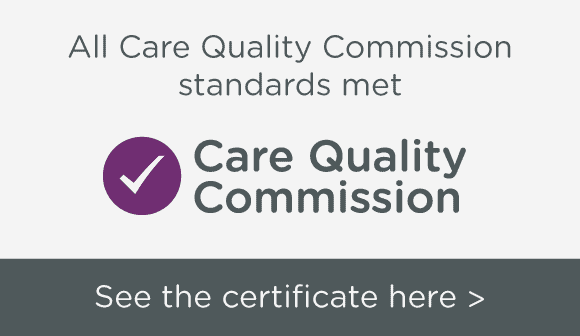 We are medically registered to be able to treat you if you self-refer to us. Why is it called the Vampire Facelift anyway? Some practitioners have been known to use some of the red blood cells to create some of the rather dramatic (or gruesome) images found online. The photos of Kim Kardashian receiving PRP therapy have become so famous that the Vampire Facelift is now also commonly called the “Kim Kardashian facial”. 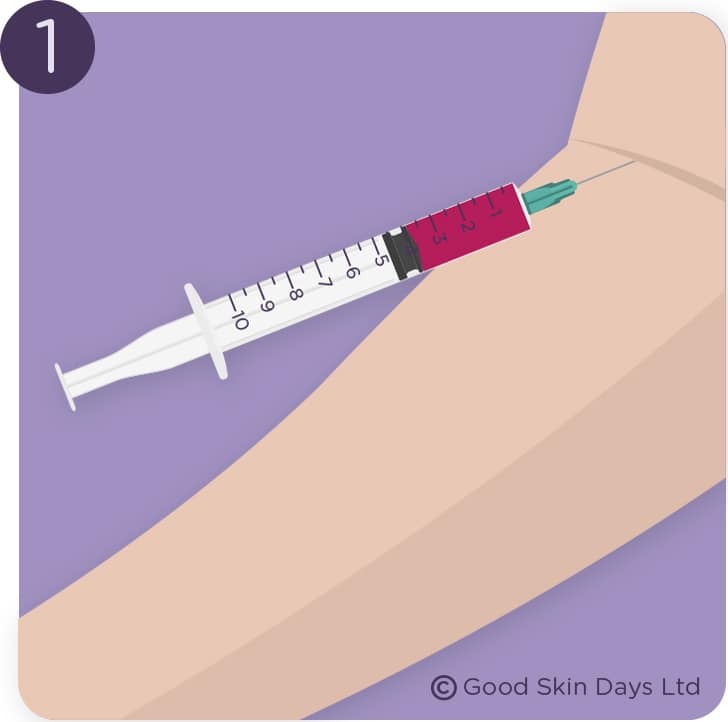 In truth, your therapist only wants to use the plasma part of the extracted blood, which is not red in colour and so the only marks left should be at the injection points themselves, like with any dermal or facial filler treatments.